Even as Shenmue fans continue to passionately chant their cause from atop every soap box they can find, it’s becoming more and more reasonable to accept that we may never see the long-awaited finale to Yu Suzuki’s sweeping epic. But of course, this isn’t stopping the game’s ever-driven creator. 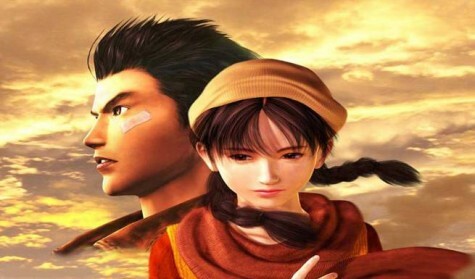 In a recent interview with French reporter Sebastien-Abdelhamid at the Monaco Anime Game Show, Suzuki reportedly expressed an interest in crowdfunding a Shenmue III, and even brought up the possibility of an anime or manga down the line. The actual interview has not yet been published in its entirety. While I’ve grown weary of the Kickstarting trend, this idea is one hell of an exception. This is a project that we’ve been pushing for, begging for, and supporting for over a decade now, and crowdfunding could be the perfect way for the community to not only support the team behind the game, but also prove that this franchise is truly capable of being profitable after all. After seeing the groundswell of support every time the series is even mentioned, even in events as small as the voting for DLC in Sonic & All-Stars Racing Transformed, it’s not difficult to imagine that those same die-hard resolute fans could really get this game the support and attention it deserves. Please, please, please make this happen. Seems unlikely. Sega owns the rights, and have they ever shown any interest in selling it? Maybe he’s putting it out there as bait, see if Sega bites at the idea of some easy $$$? I suppose if the money is right Sega could do it, but they won’t do it for the fans. There aren’t enough of them. I’m pretty certain that outside of re-releases, almost all of Sega’s income comes from “series” fans (Sonic, Total War, etc), rather than Sega fans. I concur with the “please, please, please make this happen.” PLEASE!! wow Alex, looks like all your Reboot plug-ins finally paid off.